installed in minutes at a fraction of the cost of traditional solutions. 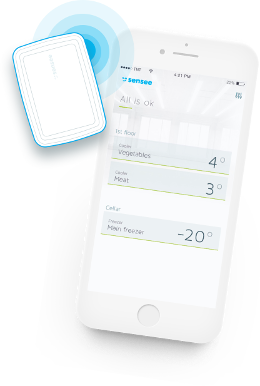 5-10% of food can be lost daily due to temperature-related problems. 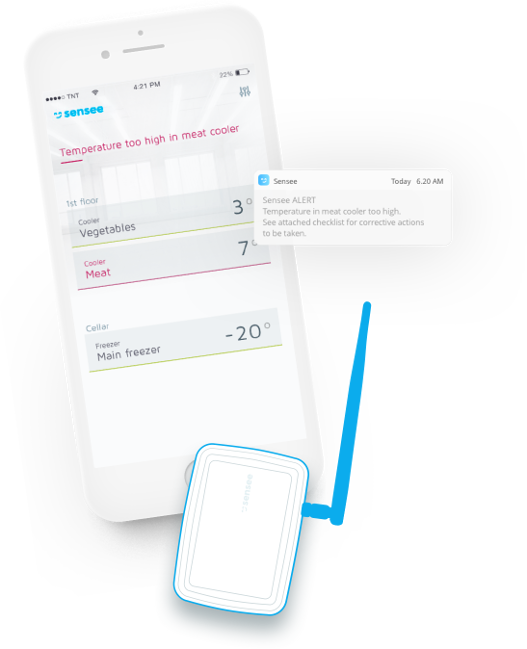 Sensee automatically monitors temperature in real-time, records data to the cloud and displays it in the user dashboard – eliminating manual, mistake prone processes, saving employees time, and giving managers control over food safety. 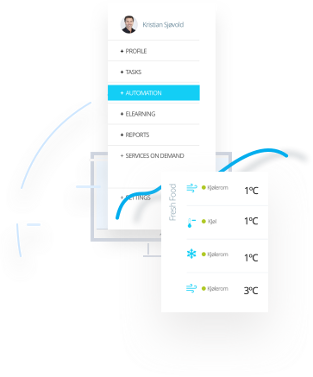 Automatic alerts notify users to take corrective action against equipment failures and human error before goods are spoiled – or worse, your customers are exposed to contaminated foods. Food regulations are complex, with mistakes resulting in costly fines or business closure. 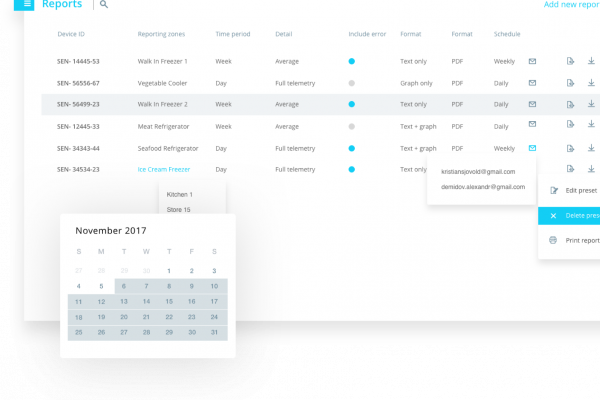 Sensee simplifies reporting, compliance and analysis, with complete historical & real time data reports downloaded, printed or emailed on demand. Restaurants, groceries, food service distributors, schools, hospitals, nursing homes, entertainment venues & more. and free trial if you pre-order now! Get in touch, and we’ll take away your food safety headaches today.